All Insurance Florida is a full-service insurance agency successfully serving the needs of individuals, families, and businesses across Florida. We offer Automobile, Homeowners, Motorcycle, Boat, Business Insurance, and all lines of commercial insurance including Workers Compensation, General Liability Insurance, Cyber Liability Insurance, Life Insurance, and more. Our commitment is to provide our clients with quality insurance protection at competitive prices. With our extensive experience in risk analysis and insurance solutions, we can find the right insurance that meets your needs, budget, and the risks that you and your business are exposed to. We also ensure that we provide excellent personalized Insurance Services in Tampa, Florida from policy purchase to the processing of claims to make your insurance experience satisfying and stress-free. 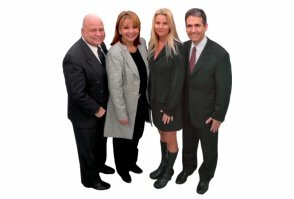 Get to know more about our Insurance Agency in Tampa, Florida. Call us at 813-969-2400 or email us at info@allinsuranceflorida.com.